For too long maritime trade has drifted past the Maldives’ northermost atoll on its long haul voyages. But no longer. The Maldives government in 2014 made the transshipment port of Ihavandhippolhu (Ihavan) a Special Economic Zone (SEZ), and with Chinese support, is planning to rival Colombo, its busy neighbor. Every year, $18 trillion of trade floats by Ihavan. To ensure some of it docks, the country passed the 2014 SEZ Act, relaxing regulations for projects costing at least $150 million. The envisaged port will include several marinas, dockyards and an airport. At only a few hours flight from India, and 30 major cities, it will be uniquely located. 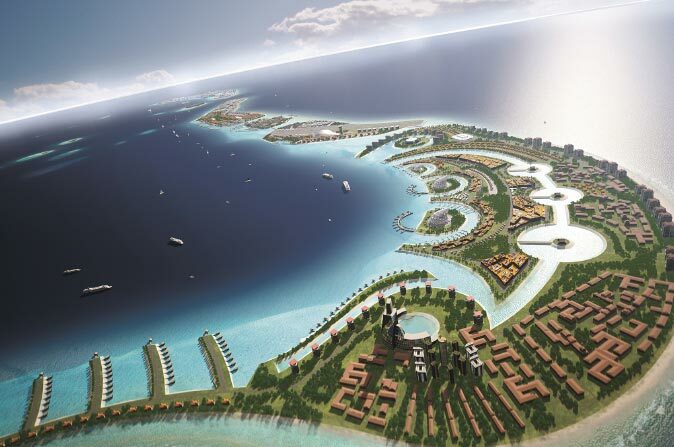 This ambitious plan will also give the Maldives a foothold in the world’s most economically promising region. Failed investments and a budget deficit are seen as damaging the country’s reputation. This project’s scale will correct such negative perceptions.